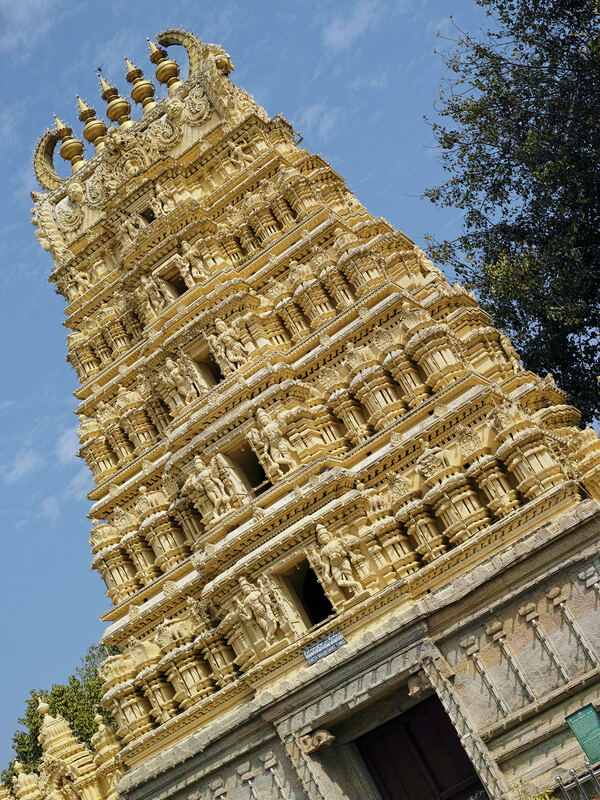 Directions: The palace is ten minutes from the city central railway station and from the suburb bus-stand; right behind city bus-stand, and twenty minutes (less four miles) from Mysore Airport. The domestic airport is directly connected to the international airports of Bangalore (Kempegowda International Airport), Chennai (Chennai International Airport), Thiruvananthapuram (Trivandrum International Airport), Hyderabad (Rajiv Gandhi International Airport), and Bombay (Chhatrapati Shivaji International Airport). The city is connected through the state highway SH-17. 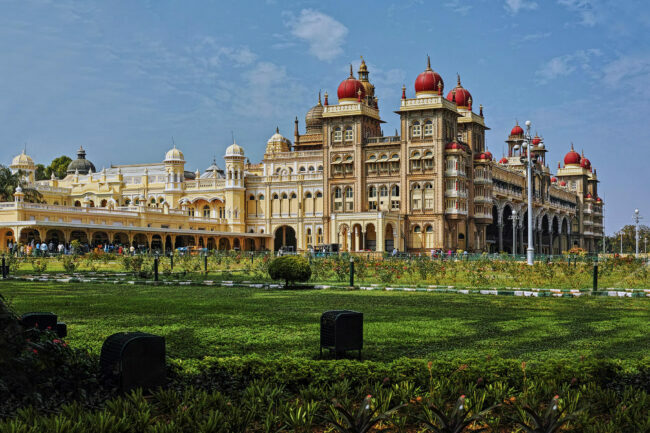 Mysore is commonly described as the City of Palaces. 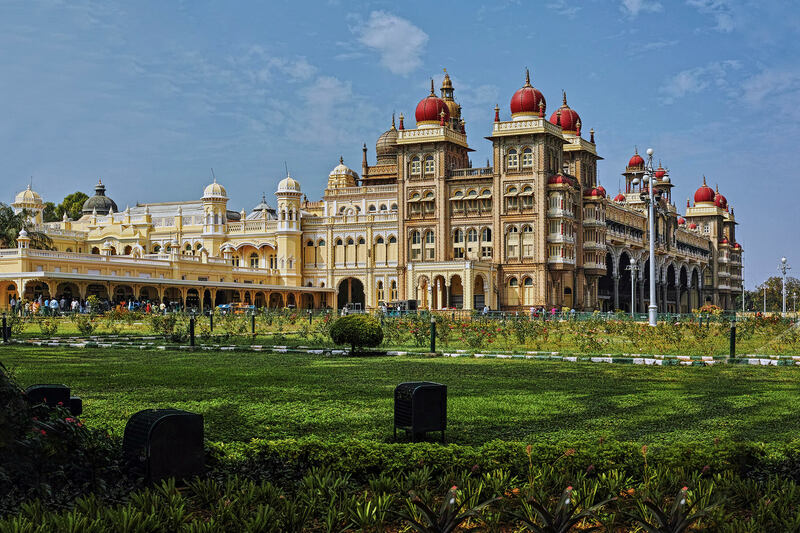 There are about seven palaces inclusive of the famous Mysore Palace. Mysore Palace refers specifically to the one within the Old Fort. Originally built in the 14th Century by the Wodeyar dynasty and then re-constructed and repaired several times over the years, the current palace had been finished in the year 1912 in British India designed by British architect Henry Irwin. 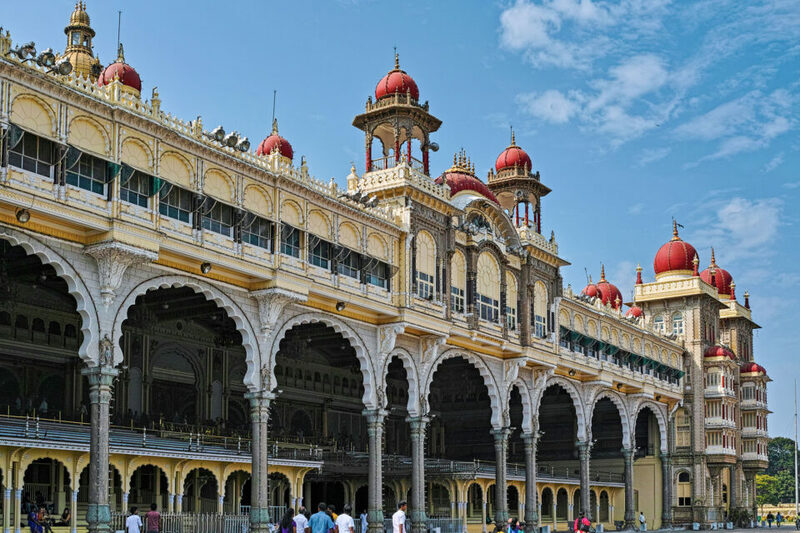 Mysore Palace is now one of the most famous tourist attractions in India after the Taj Mahal and has more than 4 million visitors annually. Here are a few photographs taken in this Palace Compound with the high-resolution 3-layered sensor of the Sigma DP-2 Merrill equipped with a fabulous 30mm 2.8 fixed lens giving an equivalent focal length of 45mm. The palace complex also includes twelve Hindu temples. The oldest of these was built in the 14th century, while the most recent was built in 1953. 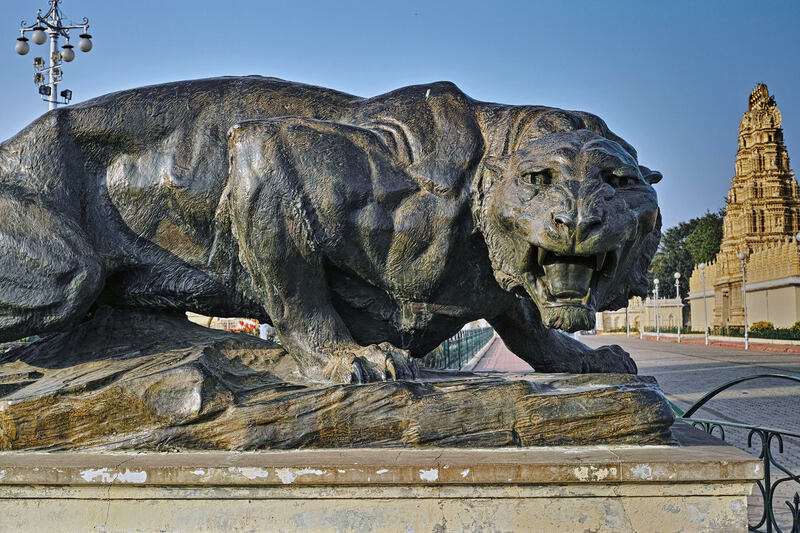 There are 8 Bronze larger than life size tigers installed on pedestals in the Mysore Palace. Six of them are located on the arena in front of the palace building while the rest two are placed inside the palace. Some of the magnificent rooms inside are Ambavilasa, Gombe thotti (Doll’s Pavilion) and Kalyana Mantapa (Marriage Hall) among others. You need to be there in person to marvel at the design and details of the interiors. You are however not allowed to take photographs of the Palace interiors.